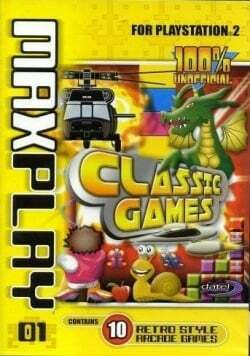 Game description: Classic games volume 1 is packed with 10 retryo style arcade games. Whether you're a retro junkie or simply enjoy great gameplay you're guaranteed hours of classic gaming action... They're addictive!! One of just a few unlicensed Playstation 2 games. This page was last edited on 18 November 2016, at 19:28.